The ALYVE board is a group of High School students who represent the 91 congregations of the Southwestern Washington Synod of the ELCA. They gather on a monthly basis in a common mission to bring the youth of our area closer to God and to each other to plan projects that involve youth in activities that promote unity of faith among the Youth in Western Washington. Each Lutheran church in the SWWA Synod is encouraged to send one or two students to the annual ALYVE board Convocation where officers are elected and projects are planned. These young board members work hard and give countless hours to serving the larger church. Terri Heckroth is the adult advisor to the ALYVE Board. The goals are to visit churches and foster relationships between church youth groups, plan a weekend retreat for Jr. and Sr. High students to learn about the amazing love of Christ, plan a fun night out for 8th-12 graders in April to encourage friendships beyond our own neighborhoods, try to involve more youth in church related activities, and to come up with inexpensive ways to connect youth to God and one another. One of the main objectives of this group is to provide fellowship opportunities to kids who go to smaller churches with little or no youth program at all. Students also hone their leadership skills and get to practice the art of planning an event. 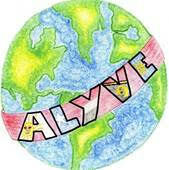 The ALYVE board is sponsored by the Southwestern Washington Synod Youth Committee. If you support these goals and want to see young Lutherans develop relationships with each other and the church, please contact Terri at creatorterri@comcast.net and ask how you can help! Free time activities include your choice of challenge course, zip line, climbing wall, giant swing, canoeing, or just hanging out. The earlier you register, the better chance you have of getting your first choice of free time activity. Cost includes 2 nights lodging, all meals on Saturday, breakfast on Sunday, T-shirt to tie dye, activities, and workshops. 8th Grade and older students will have the chance to learn about the leadership opportunities of being on the ALYVE board.